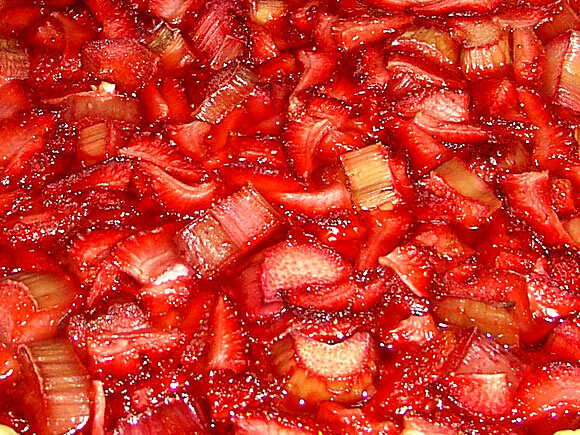 This weekend I, a masculine fellow, whipped up a piping-fresh batch of fresh Rhubarb and Strawberry Cobbler (RSC) all capped by a One Inch Thick Layer of Biscuit (OITLB). It will take one week to eat through. A clear tray ready to be loaded with a new batch. The OITLB eats like a meal and the RSC finishes like dessert. how did you manage to make something as wonderful as rsc look like entrails?